Home / Clothing / Chef Life America Patch Now Available! Chef Life America Patch Now Available! 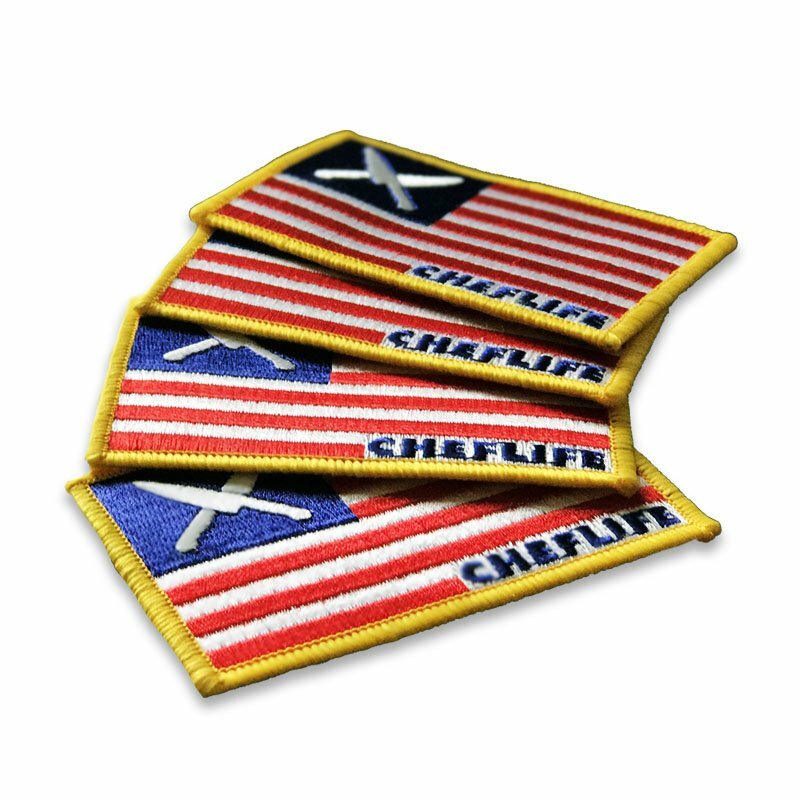 We keep our celebration of America going with the release of our Chef Life America Patch. Needless to say, we love our country even if we don't agree with the leader of the free world at the moment. We won't get to that on here, though. All you need to know is that we stepped up our patch game while also repping our home country. We are super stoked about this, so you should be too and since it has a plastic backing we recommend slapping this on your chef coat, chef hat or chef whatever. Don't miss out on a slew of accessories coming your way pretty soon, so stay tuned! Don't be unpatriotic and patch yourself up. Doooooo it! Use Code: PatchUp at checkout for FREE SHIPPING on your patch.